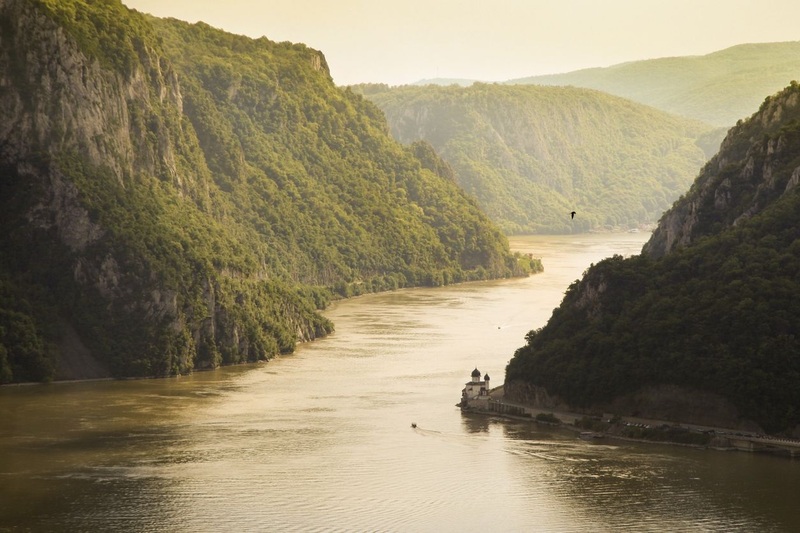 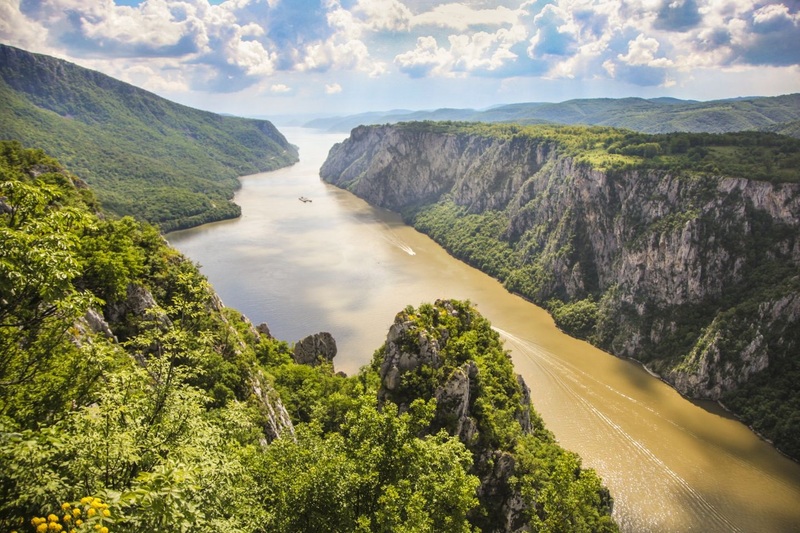 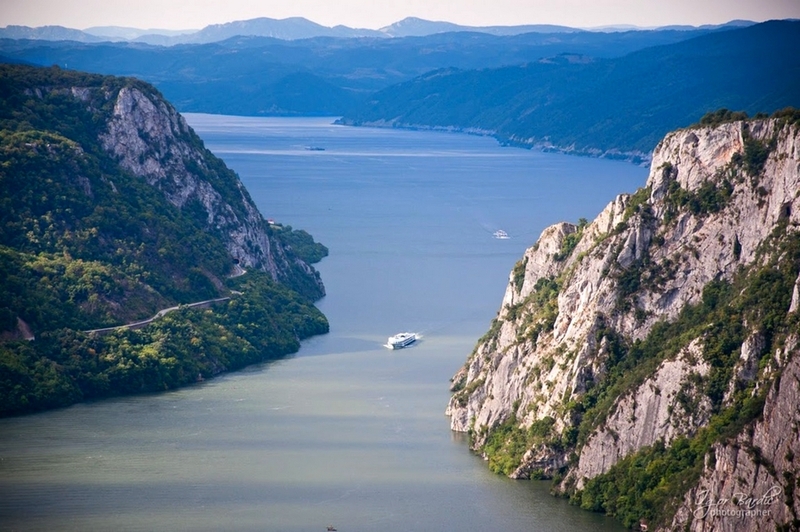 The longest river in Europe, the Danube, makes its way through the Carpathian mountains, forming a gorge (canyon) which bears the name The Iron Gates. 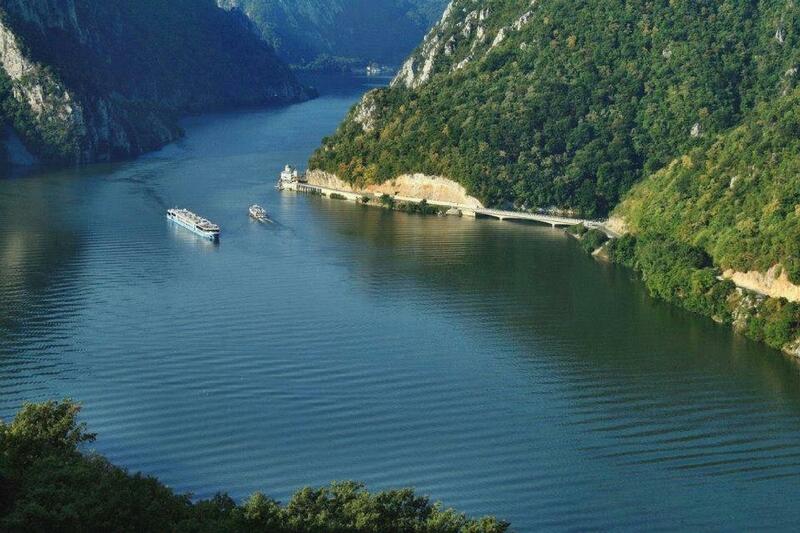 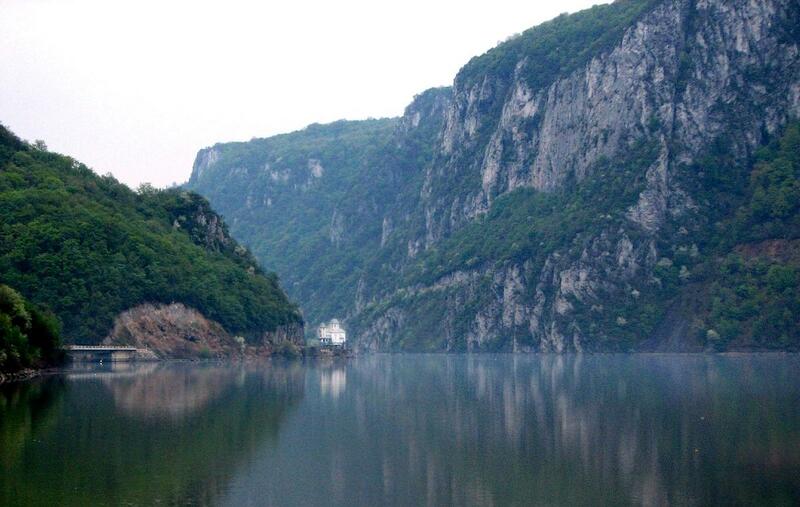 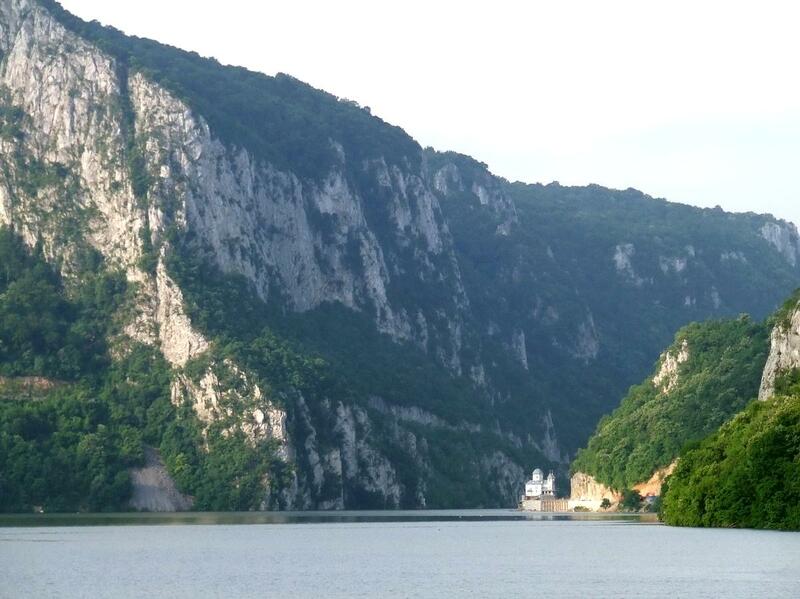 The canyon is shared with neighboring country Serbia, which names it Đerdap National Park. 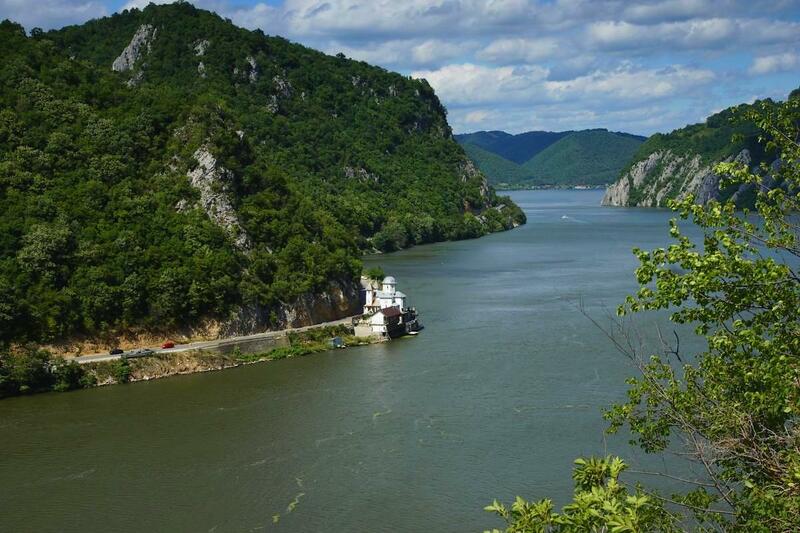 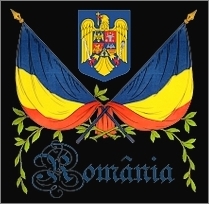 A large Hydroelectric power station was built here by Romania and Serbia in the 1970’s. 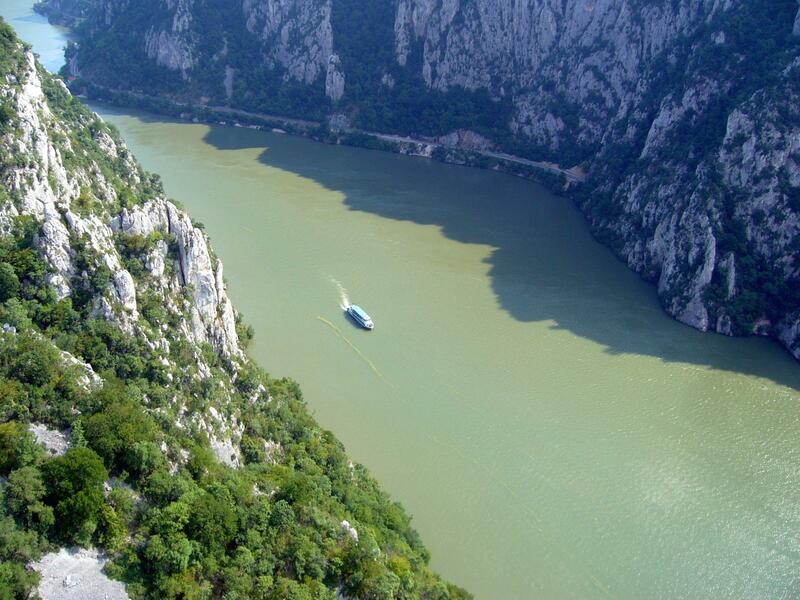 *Tabula Traiana – Roman memorial plaque commemorating the completion of Trajan’s Bridge (biggest bridge in Antiquity built especially for invasion of Dacia). 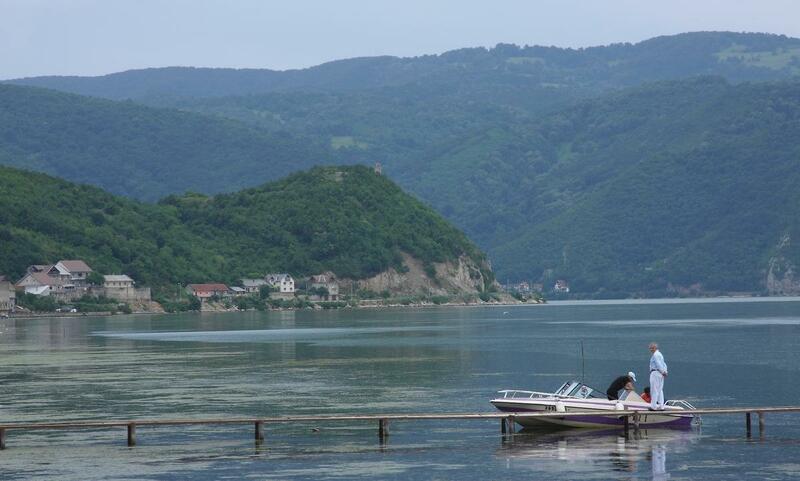 *Decebal’s Statue – carved in the 90’s near Tabula Traiana by romanian historian in memory of the last dacian king Decebal, who died trying to protect Dacia. 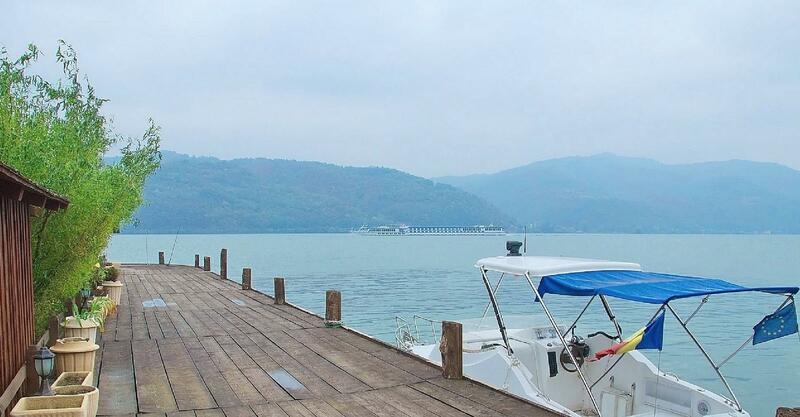 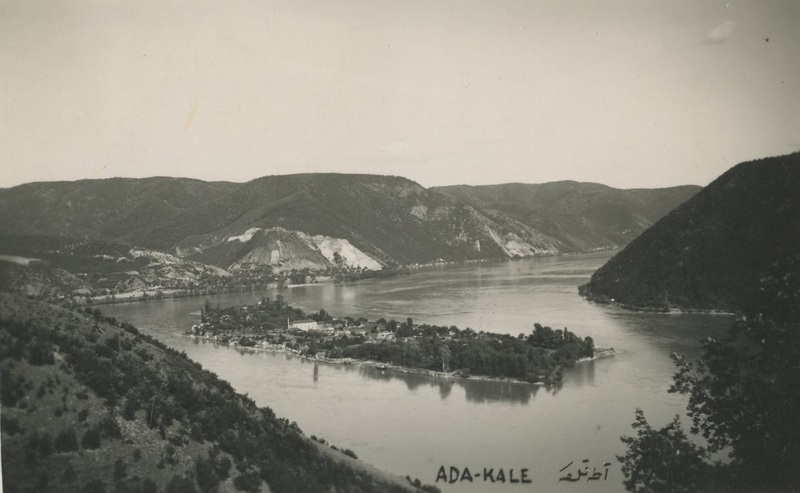 Ada-Kaleh, small island which disappeared during the construction of the Hydroelectric power station.